Who doesn’t love meatballs and melty cheese? 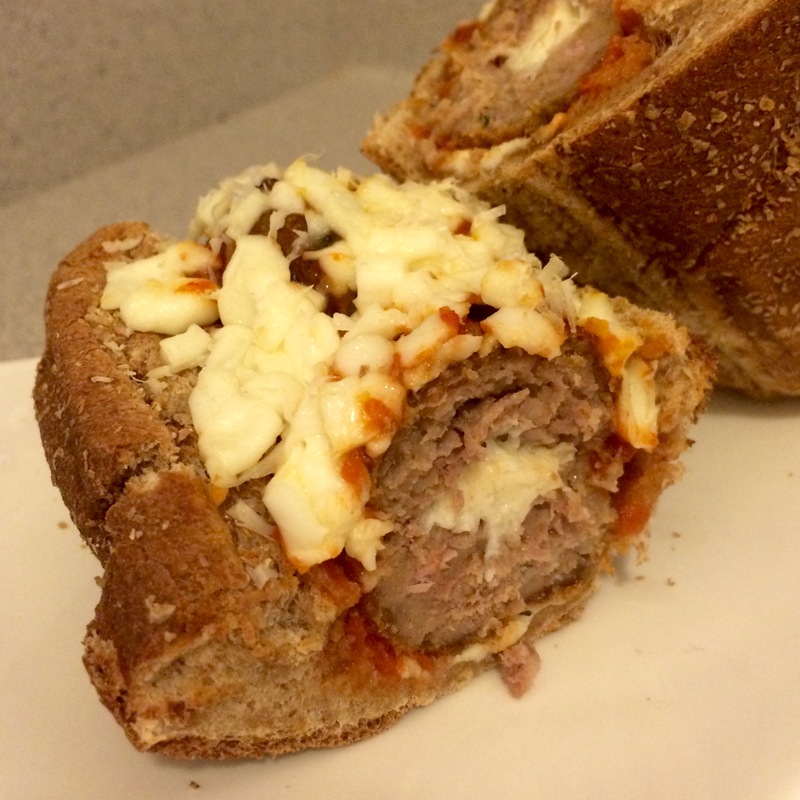 Even the pickiest eaters at my school, devour these easy meatball subs. Anthony actually asked for these for breakfast, so I heated up some leftover meatballs and started assembling. 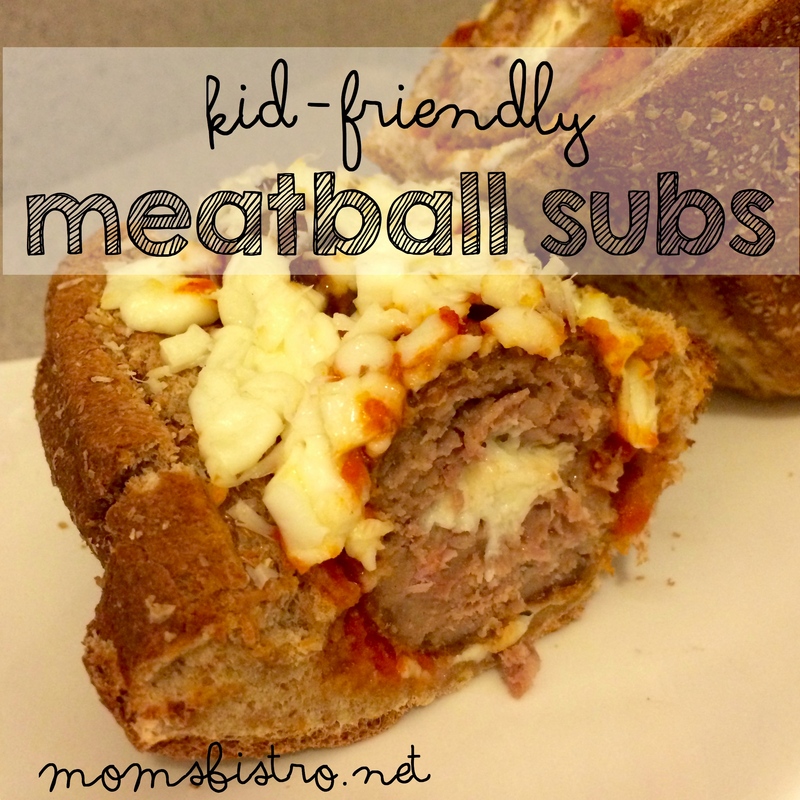 These meatballs subs really couldn’t be easier, and are a great recipe for kids to help with in the kitchen. 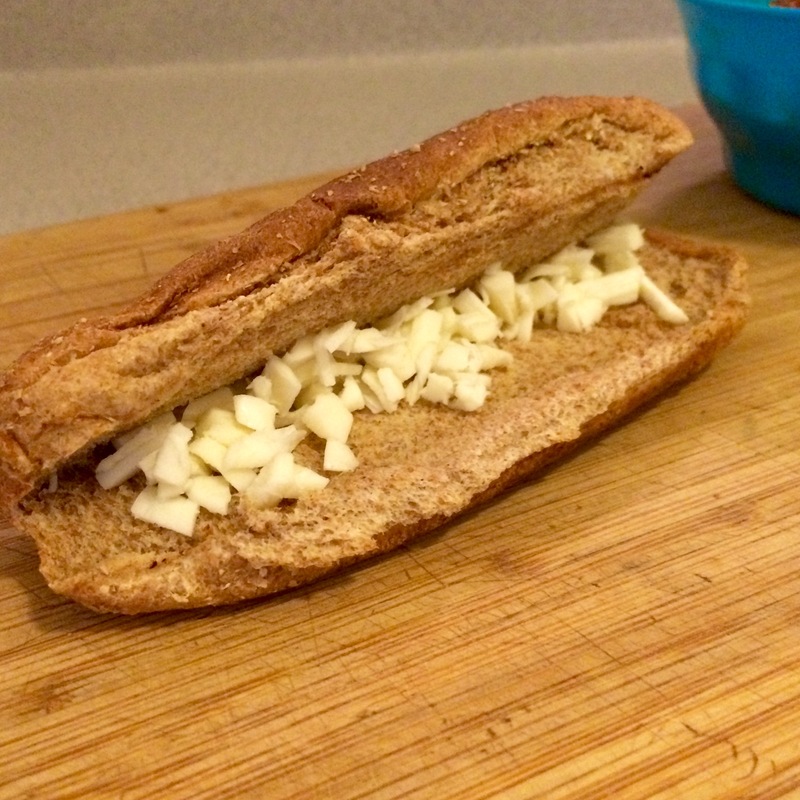 Kiddos can assemble their own subs, or even shred the cheese, all you have to handle is tossing them in the oven to make the cheese melty – unless your kiddos are old enough, then take the night off! Make dinner even faster by using leftover meatballs, like we did in this recipe. 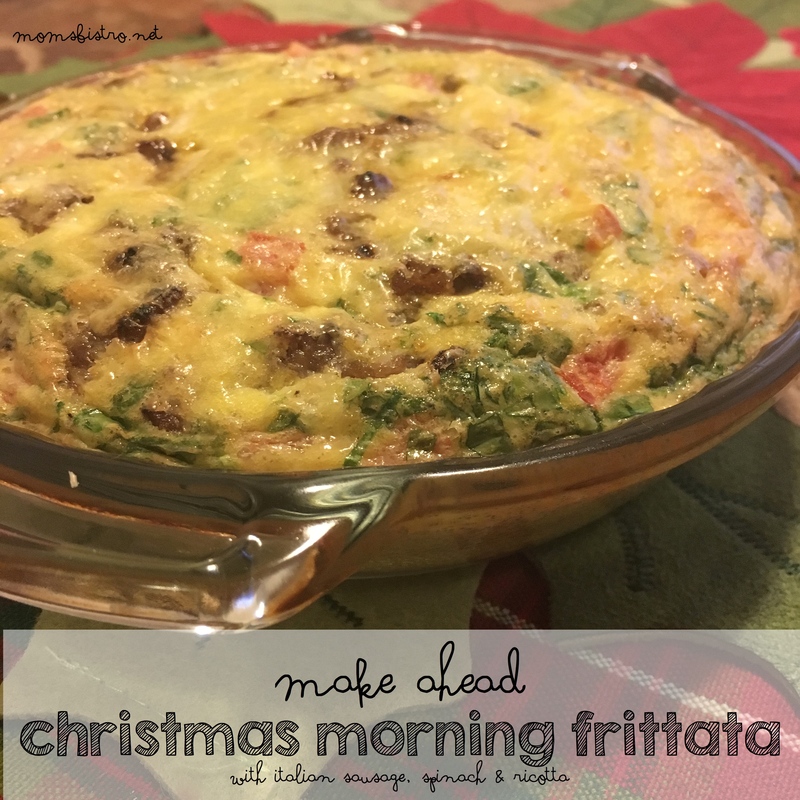 Make it a complete meal and add a simple caesar salad to the side! 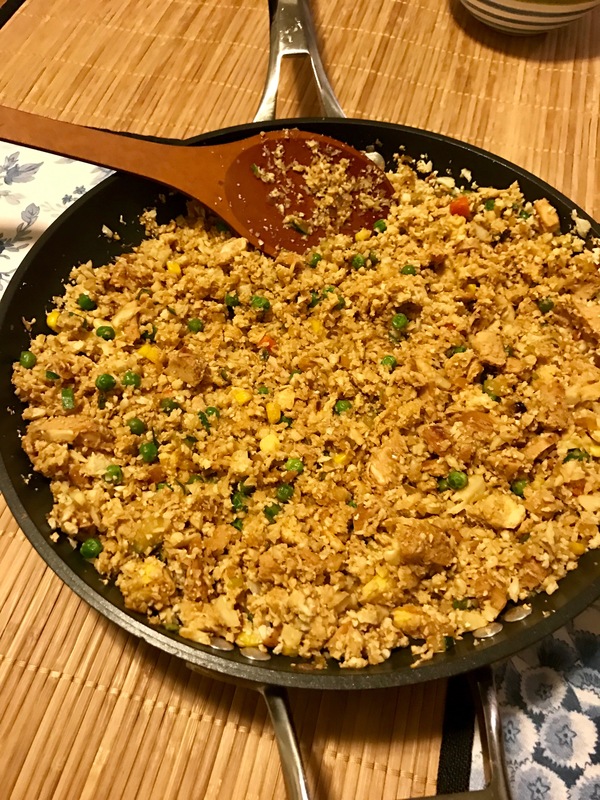 This recipe really couldn’t be easier. Preheat your oven (or toaster oven) to 400 degrees. Reheat meatballs and spaghetti sauce in a small pot over the stove over medium heat, until meatballs are heated throughout and sauce is warmed – about 10 minutes. 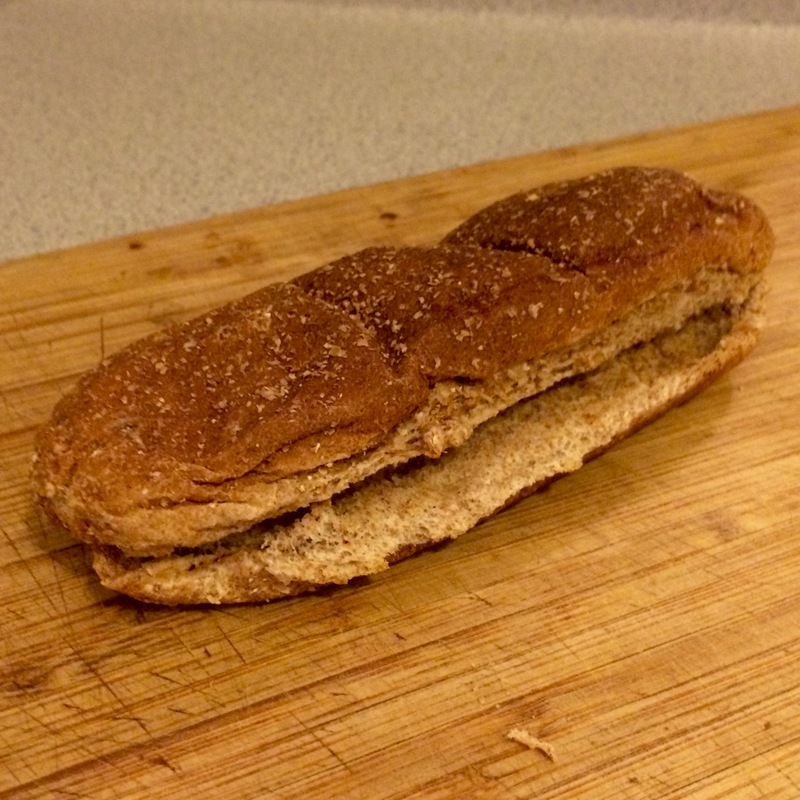 Meanwhile, split hot dog buns, or roll in half, and lightly toast. Toasting the buns first prevents them from getting soggy and falling apart. 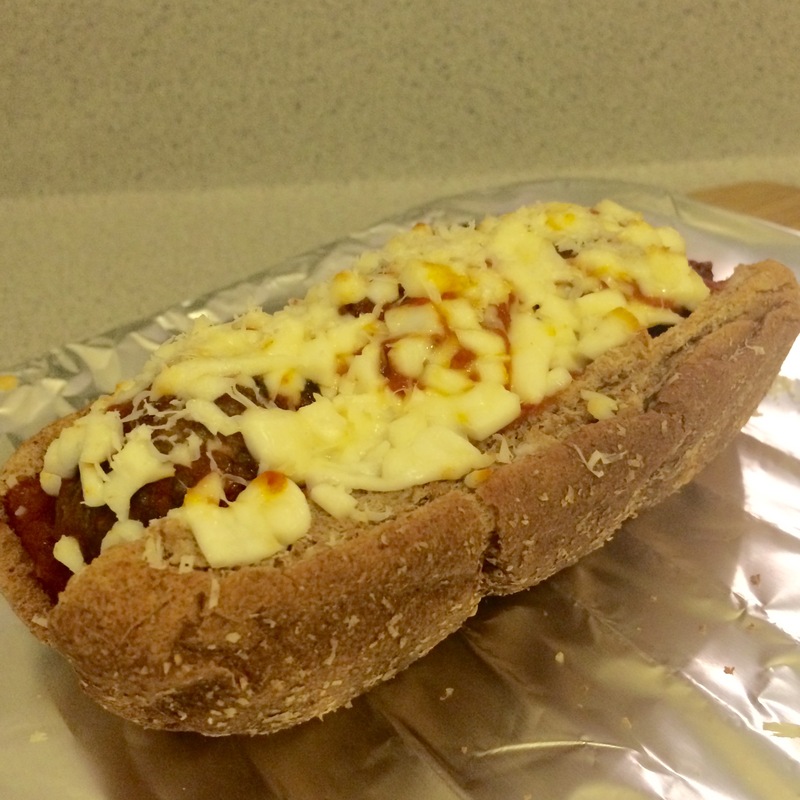 Once your buns are toasted, and the meatballs have been heated through, start assembling your subs. 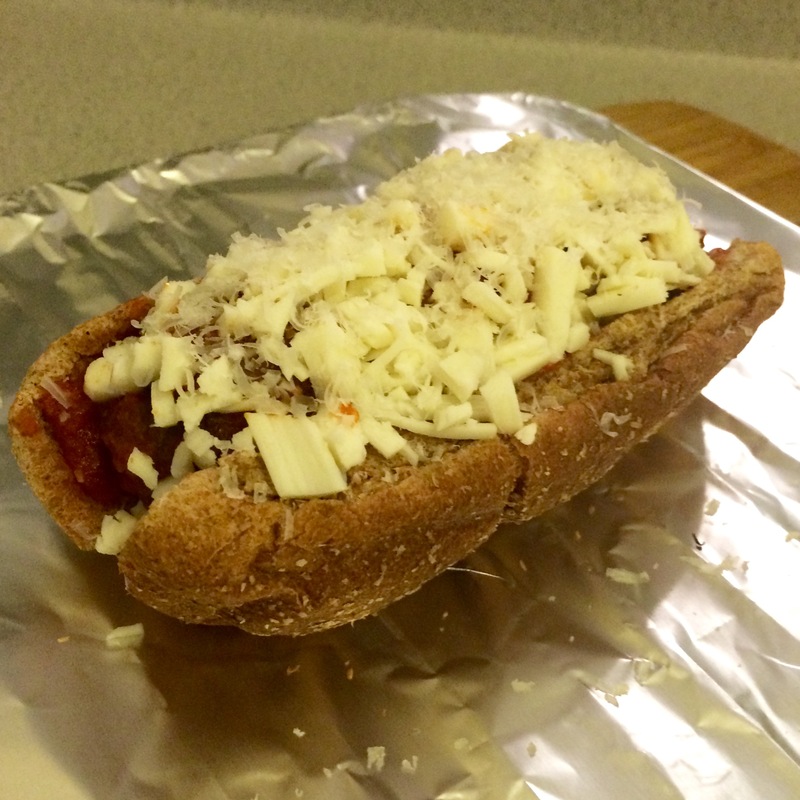 First start by adding a little shredded mozzarella to the bottom of the bun. 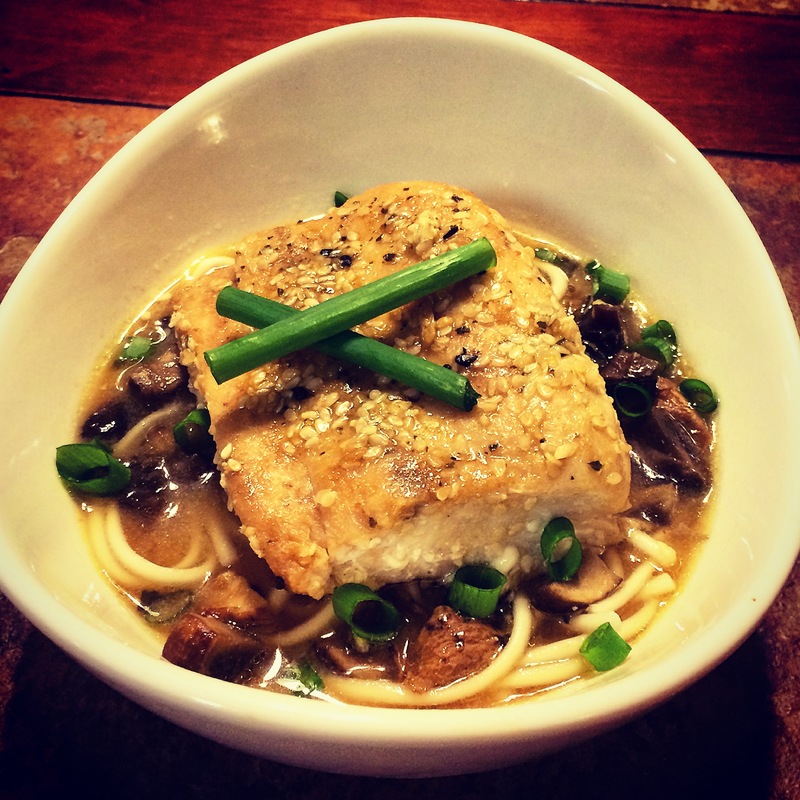 This will help absorb some of the sauce, and prevent the bun from getting soggy too. Plus, who doesn’t LOVE extra melted cheese? 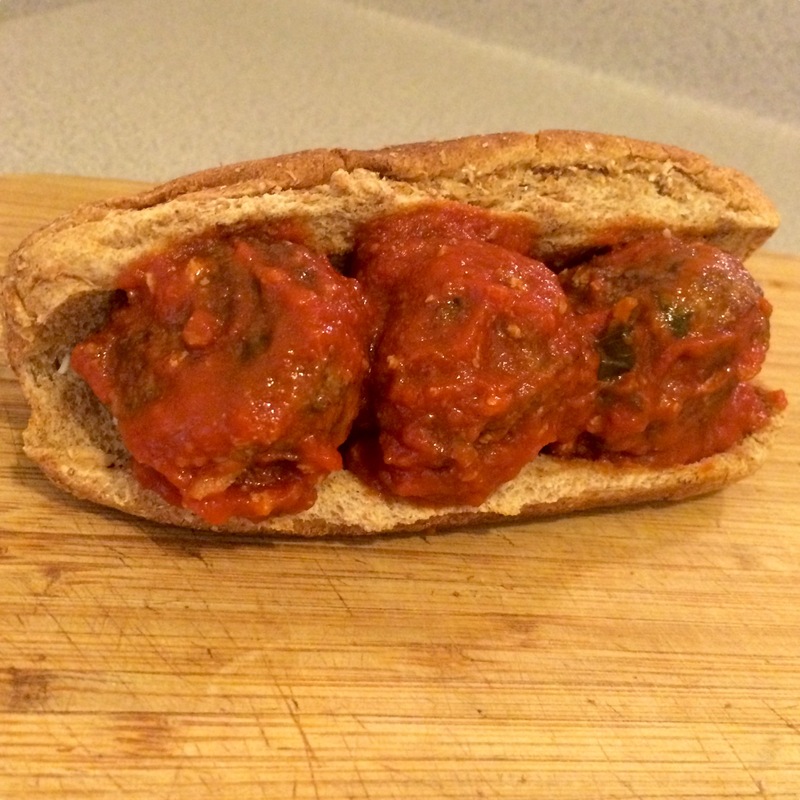 Add spaghetti sauce covered meatballs to buns. I was able to fit 3 meatballs on each bun. Top meatballs with remaining shredded cheese and parmesan cheese. Bake in preheated oven for 5-10 minutes or until cheese is melted, bubbly and starting to get a little brown. Remove from heat and allow to cool. 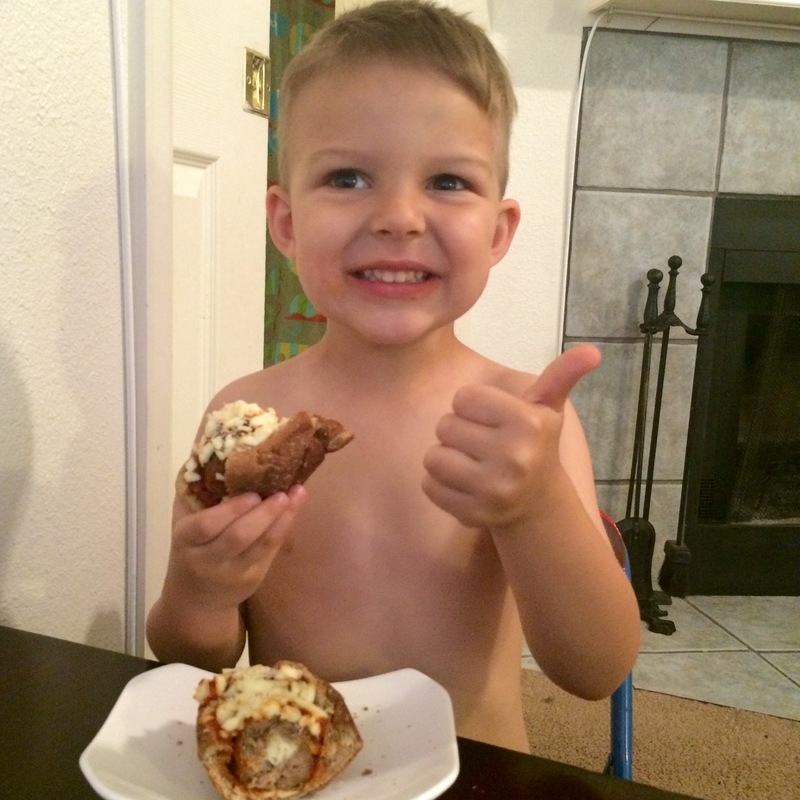 For smaller kiddos, cut in half to make it easier to eat, and you’ll even see the surprise inside the meatballs! Not a big fan of ground beef? No problem, try these easy chicken parmesan meatballs, and make it a chicken parmesan meatball sub! 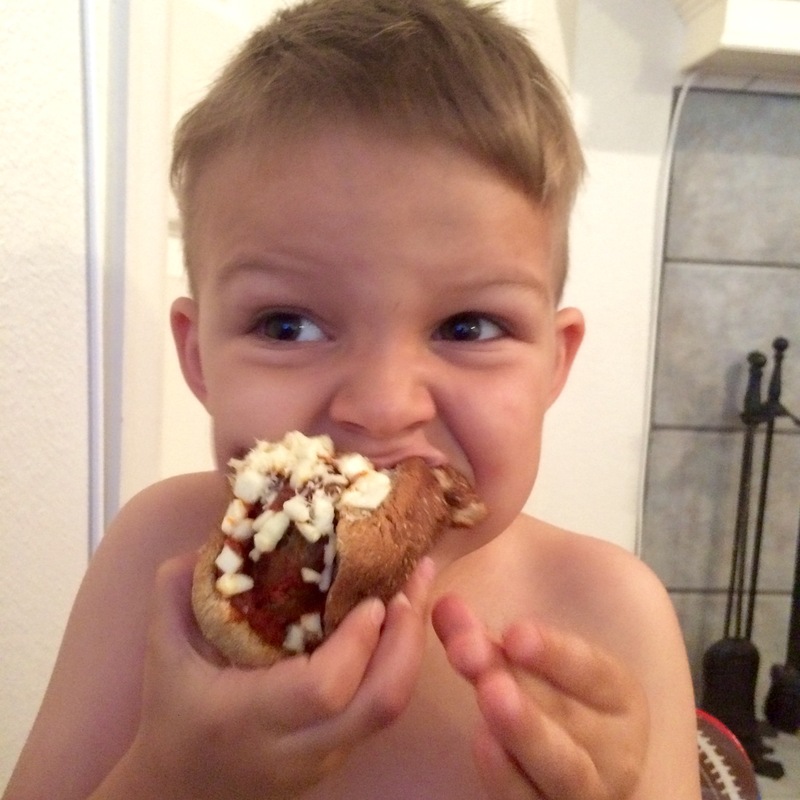 If you love Meatballs Subs, and Spaghetti Sauce, try one of these 12 Kid Approved Recipes To Make With Spaghetti Sauce!